Ipswich Town continued their excellent recent form in the Championship, grinding out a 1-0 win at struggling MK Dons in wet conditions at Stadium MK. The visitors' winner was superbly created by captain Luke Chambers, whose right-wing cross gave Brett Pitman an easy task to head in unmarked from six yards for his sixth goal of the season. Dean Gerken denied Ben Reeves and Samir Carruthers as the Dons pushed late on. Town are sixth as other results later in the day went in their favour. Ipswich's resurgence in November earned boss Mick McCarthy the Championship's manager of the month award, and although they were beaten at home by Middlesbrough in their first match of December, they returned to winning ways with a professional display in a largely dour match against the lowly Dons. Freddie Sears and Daryl Murphy both went close to adding to the lead after Pitman's opener but sent shots wide. The Dons, the second-lowest scorers in the division at the start of play, had not found the net in either of their previous two league outings. Karl Robinson's side controlled possession but lacked a clinical edge and, despite a dominant last 10 minutes and Gerken's two late saves from long-range attempts, the hosts rarely looked like preventing their goal drought being extended to a third match. "My players were sensational and I think we deserved more than what we got out of the game. "I was so proud of them at the end and that's why I stood there and clapped them off the pitch. "This is the harsh reality of the Championship, but the players asked to be at this level last season so they have to stand up and accept the challenge." "It was a really tough, resolute and well-organised performance against a team that had lots of the ball. We had some really clear-cut chances to put the game to bed sooner. "There's lots of things we need to do to be successful in this league and that's sometimes doing some of the dirty things well, too. "The nasty side of the game is just as important to me because, without that, you've got no chance in this league." 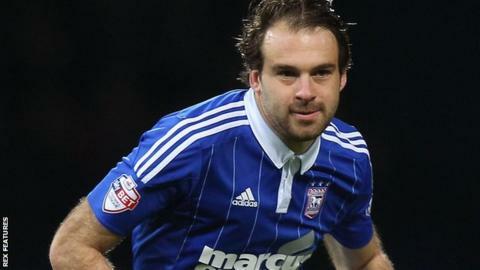 Match ends, MK Dons 0, Ipswich Town 1. Second Half ends, MK Dons 0, Ipswich Town 1. Delay in match Jonas Knudsen (Ipswich Town) because of an injury. Attempt blocked. Robert Hall (MK Dons) right footed shot from outside the box is blocked. Assisted by Ben Reeves. Ben Reeves (MK Dons) wins a free kick on the right wing. Corner, MK Dons. Conceded by Jonathan Parr. Corner, MK Dons. Conceded by Dean Gerken. Attempt saved. Robert Hall (MK Dons) left footed shot from the right side of the box is saved in the top right corner. Assisted by Antony Kay. Attempt blocked. Robert Hall (MK Dons) left footed shot from outside the box is blocked. Assisted by Samir Carruthers. Attempt saved. Cole Skuse (Ipswich Town) left footed shot from the centre of the box is saved in the centre of the goal. Assisted by David McGoldrick. Offside, MK Dons. Antony Kay tries a through ball, but Nicky Maynard is caught offside. Substitution, MK Dons. Robert Hall replaces Jordan Spence. Substitution, Ipswich Town. David McGoldrick replaces Freddie Sears. Offside, Ipswich Town. Jonathan Douglas tries a through ball, but Freddie Sears is caught offside. Attempt saved. Ben Reeves (MK Dons) left footed shot from outside the box is saved in the centre of the goal. Assisted by Jordan Spence. Attempt blocked. Daniel Powell (MK Dons) left footed shot from outside the box is blocked. Assisted by Ben Reeves. Corner, MK Dons. Conceded by Daryl Murphy. Attempt blocked. Josh Murphy (MK Dons) left footed shot from outside the box is blocked. Assisted by Ben Reeves. Attempt saved. Samir Carruthers (MK Dons) right footed shot from outside the box is saved in the top centre of the goal. Assisted by Ben Reeves. Attempt saved. Ben Reeves (MK Dons) left footed shot from outside the box is saved in the bottom left corner. Assisted by Samir Carruthers. Attempt missed. Daryl Murphy (Ipswich Town) right footed shot from the centre of the box is close, but misses to the right. Assisted by Ainsley Maitland-Niles with a cross following a corner. Corner, Ipswich Town. Conceded by Dean Lewington. Corner, Ipswich Town. Conceded by Jordan Spence. Freddie Sears (Ipswich Town) is shown the yellow card for a bad foul. Jordan Spence (MK Dons) wins a free kick on the right wing. Corner, MK Dons. Conceded by Cole Skuse. Attempt missed. Daryl Murphy (Ipswich Town) left footed shot from outside the box is close, but misses the top left corner. Assisted by Cole Skuse. Antony Kay (MK Dons) wins a free kick in the defensive half.